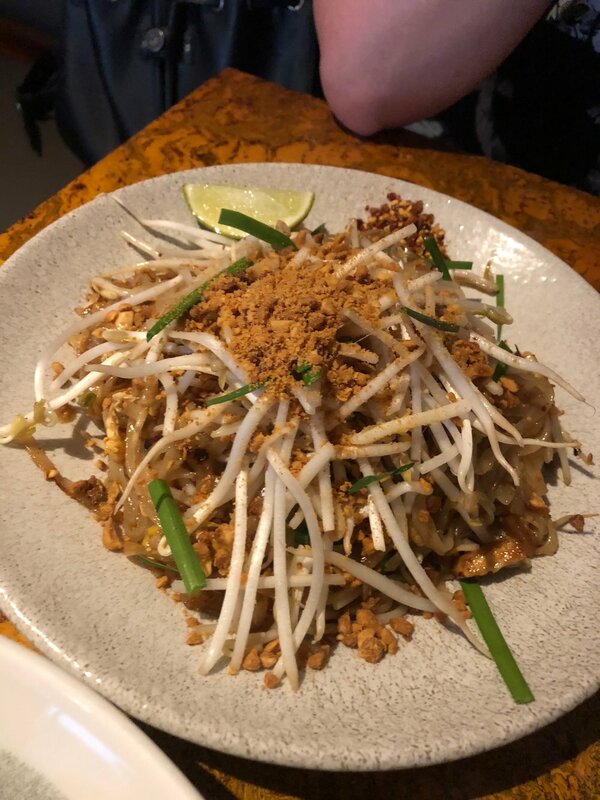 Lots of buzz surrounding Maenam recently as an A list celebrity said that Maenam was her favourite restaurant in Vancouver. Is the endorsement real? We decided to try ourselves. Pad Thai was very good, I would say the top 3 best pad Thai's I've had. Excellent balance of flavours where you want more and more. Add some of their house chilli flakes to excite your senses even further. The 8 spice ling cod was amazing. Deep fried and glazed with a sugar sauce, sprinkled with flash fried basil leafs, this dish is amazing. It has a little bit of a kick but it's a very different Thai dish. The sauce at the bottom goes great with the rice. The experience was amazing, we were already talking about a second visit in the future. The only downside was how close the tables are and it's hard to have a conversation without the other patrons hearing about it (it's something to keep in mind). Prices are also on the higher end of Thai cuisine. If you're feeling baller, you can do the chef's choice which is around $50 a person.